It is a theoretical value, since the isotropic antenna does not exist and cannot be designed or constructed. Thus, the value can be calculated or expressed in theoretical terms only. 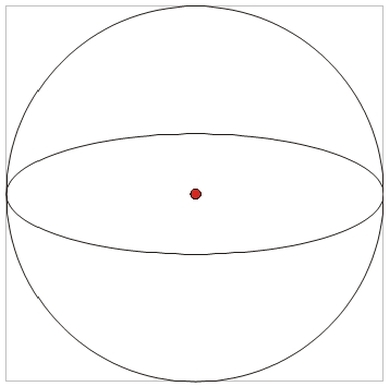 What are the origins of the term ‘isotropic’? Isotropy and isotropic from Greek ‘isos’ meaning ‘equal’ or ‘same’ and ‘trópos’ meaning ‘sense’ or ‘turn’. In science, the term is used to define the features of objects showing identical and uniform properties in all directions. 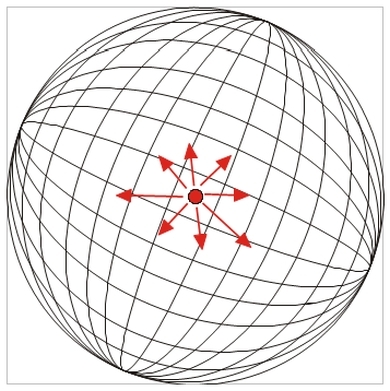 Theoretically, the isotropic antenna is an infinitesimally small point in space, radiating ideally uniformly (isotropically) in each direction in space, without reflections and losses (its radiation characteristics is spherical). (G) – how much stronger the antenna transmits or receives signal compared to the isotropic antenna (in a linear scale). Example. Let’s calculate how much stronger a 17 dBi antenna receives (transmits) the signal the compared to the isotropic antenna. 17 dBi antenna will receive (transmit) the signal 50.11 times stronger than the isotropic antenna. Example. Let’s consider an 8 dBi antenna and calculate its gain compared to the half-wave dipole. dBi unit and definition of an isotropic antenna used in E.I.R.P. calculation is a key parameter used in design and calculations of WLAN and satellite link parameters. 5725 – 5875 MHz (5 GHz band) - power up to 1000 mW E.I.R.P. (30 dBm). Remember, that the Access Points manufacturers often specify the transmitter power in E.I.R.P. which means that the device conforms to the regulations when using an external or built-in antenna only. For custom WLAN applications, a simple calculation will verify if the signal power meets the requirements. two connectors – attenuation + 2 x 0.5 dB = 1 dB. E.I.R.P. = 16 dBm + 8 dBi – 3,2 dB – 1 dB = 19,8 dBm (i.e. the power level meets the requirements - less than 20 dBm). Remember, not all access points reduce the output power. Thus, it is better to use a high gain antenna and a low power transmitter than a low gain antenna and a high power transmitter. The devices operate not only in transmission, but also reception mode, and thus the sensitivity of the receiver is also important.